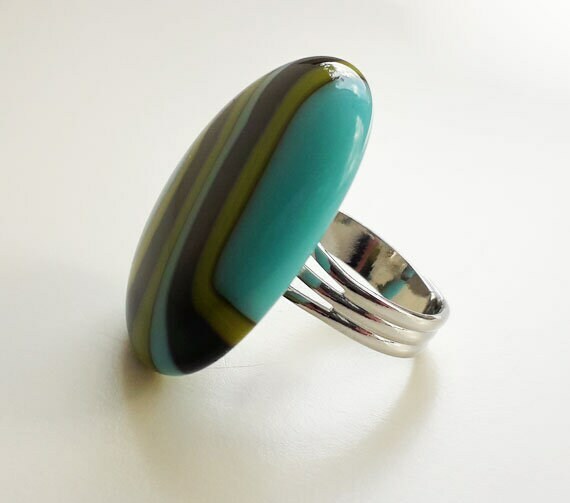 Fused glass ring - blue, green and black glass on a silver expandable ring. 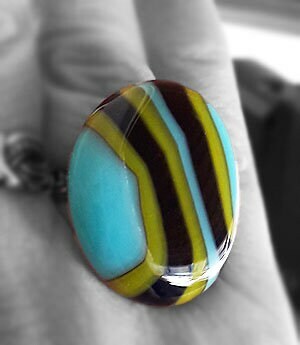 This is a brilliantly colourful ring, very bright and summery. 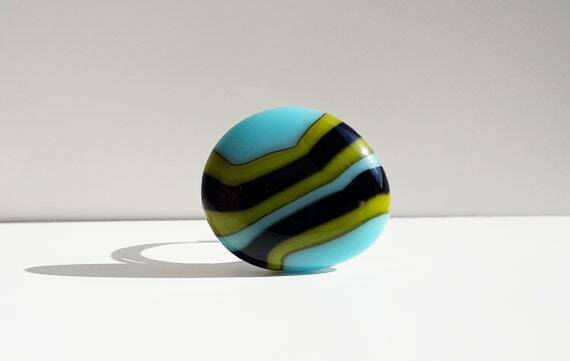 It's made from stripey glass in bright blue, green and black. The shape is totally random - it's about 32mm long at its longest point, and 28mm across. 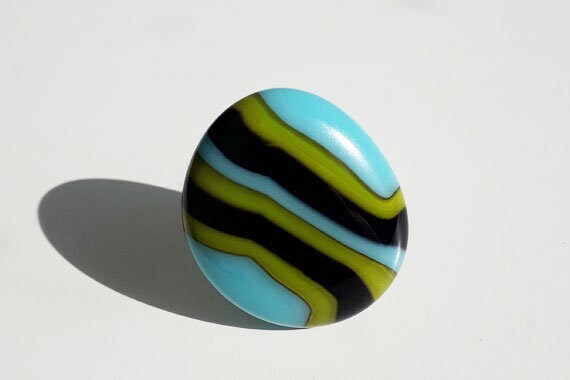 It's set on an expandable silver band that matches nicely with the stripey theme. Beautiful ring with fabulous colours and great service. Highly recommend.